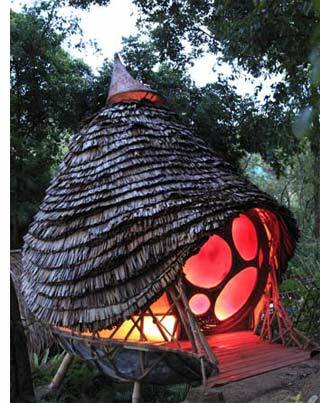 Spot Cool Stuff has reviewed a pod bed, a pod ski resort and a pod treehouse hotel. But this is our first ever pod restaurant. And what an amazing location our first pod restaurant is blessed with: on the grounds of the gorgeous “six star” Soneva Kiri beach resort located on Thai island of Ko Kood. Ko Kood as a whole is lush and lovely. As Spot Cool Stuff regulars may remember, we selected it as the Thai island with the best tropical forests. 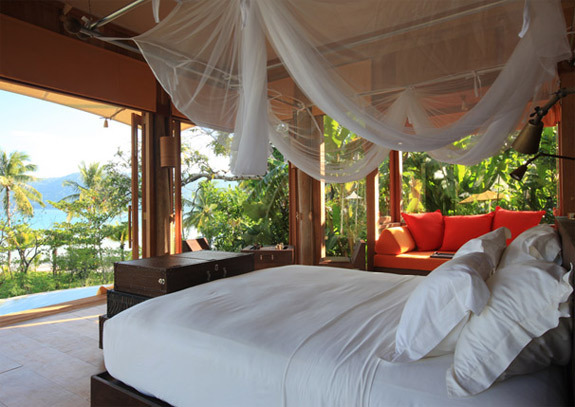 Soneva Kiri, part of the Six Senses chain, is in a lovely and luxurious section of this lush and lovely island. 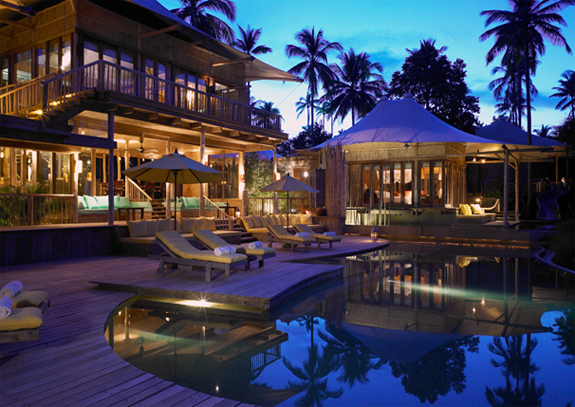 Book a stay here and you’ll be flown from Bangkok directly to the resort’s private airstrip. A short boat and buggy ride later and you are in paradise. Perfect beaches. Excellent service. Top notch food. 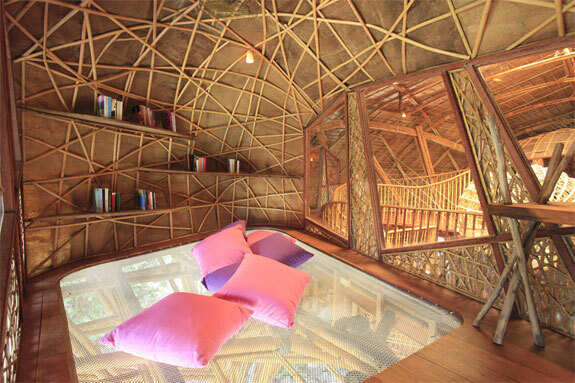 The Soneva Kiri is supremely high luxury. And supremely eco-friendly—stay in the resort’s zero emissions Eco-Villa and you’ll be surrounded by locally sourced materials, use renewable energy and swim in your own private natural swimming pool that uses plants to clean the water. 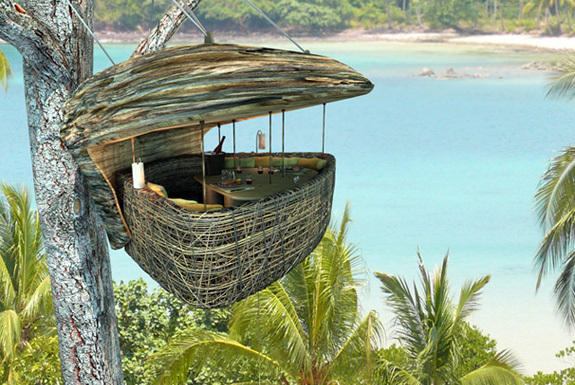 Which brings us to The Dining Pod, the Soneva Kiri’s exclusive eating experience. The pod (top photo) sits high up in a birch, above the palm tree canopy and next to a beach of crystal water. The exterior of the pod is covered in woven rattan but the frame is made of steel and is strong enough to support a table, four adults and as much Singha as said adults can drink. Though you’d be wise not to partake too much drink; getting up to, and down from, the pod is a somewhat tricky procedure that involves a zip line. Once up in the pod all your food and drinks are hoisted up to you, so you can sit back and enjoy the experience. Unless, of course, you need to go use the restroom. Arun Residence Garden Suite: The Best Hotel Room in Bangkok? Want to ditch your young ones for a while? 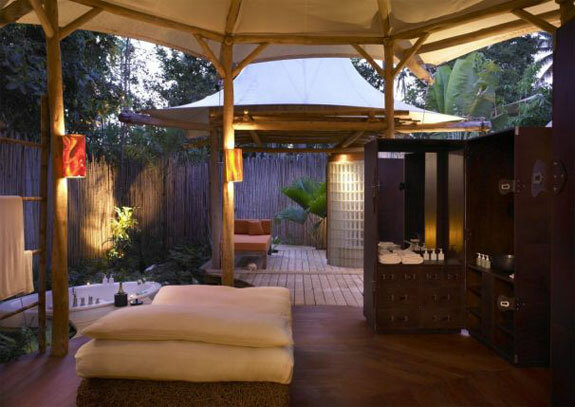 Do it guilt-free at the Soneva Kiri. They have a very cool kids area with an environmental theme. 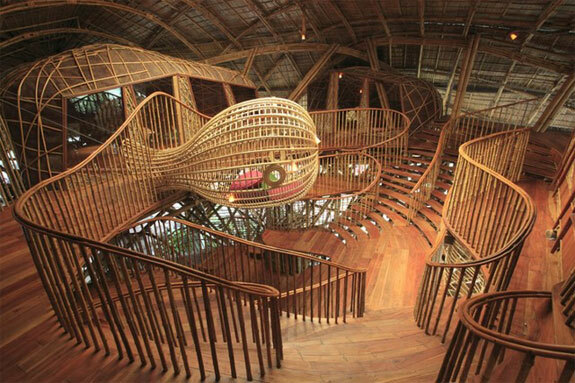 There’s a napping pod (photo above, to the right of the text) and a bamboo playground. But the highlight is the main child care center (pictured below) filled with fun spaces. After spend a bit of time here your kids will want to ditch you. Truly is amazing, Thailand is a magical country with lots and lots to offer!!! Thailand is an amazing place and people’s ingenuity make it even more unique. Wow, talk about a room with a view! It is so interesting to see all the unique and exotic ways in which people entice you to visit somewhere, by creating something entirely new. It definitely entices me! The article said that the food is “hoisted up” to you, but I’m curious if the food has to travel by zip line as well…? Wow this is stunning! And I’m going to Thailand next month.